This Devoille Absinthe from Fougeralle proves that an Absinthe branche in a bottle doesn’t nescessarily lead to a bitter tasting Absinthe. This product is fully loaded with herbs. 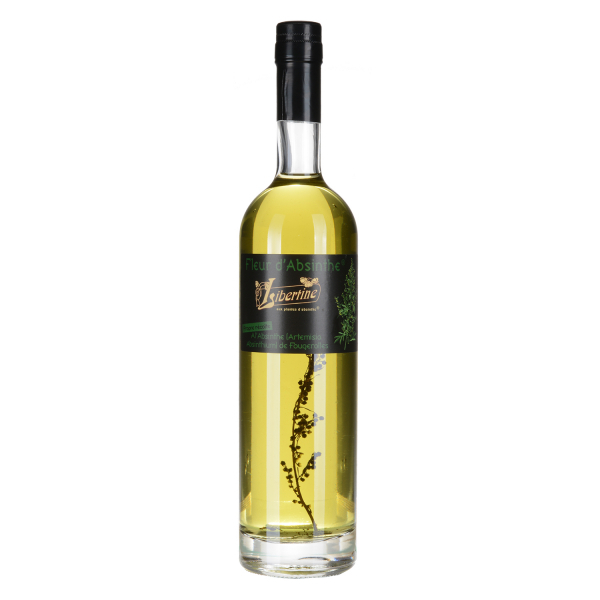 Related links to "Libertine Fleur d'Absinthe"
Customer evaluation for "Libertine Fleur d'Absinthe"
Sorry for English, my German isn\'t enough to express my opinion. Wormwood and pine resin are the first impression (2cl, 1:3 with medium sugar 1/2 cube). It\'s really long, but as it gets more and more warm, and as I get used the wormwood/resin taste, other herbs are coming up. Complex, interesting, and very individual (OK, I\'m not a really experienced absinth taster). I really enjoy it.